West Ossipee, N.H. – Northway Bank is proud to name Deanna Hanley Branch Manager of its West Ossipee location. In her role, Deanna will be responsible for cultivating and strengthening relationships in the West Ossipee community, offering the highest level of customer service, advice, strategies, and solutions for Northway Bank’s customers. Hanley brings more than 21 years of banking expertise and customer development to her new position at Northway Bank. 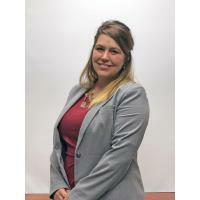 A graduate of New England College with a BA in Business Administration, Deanna has served as treasurer for Governor Wentworth Regional School District and the Wentworth Economic Development Council. She most recently managed Northway Bank’s Conway Village branch and has been warmly welcomed in West Ossipee. Deanna lives in the Wolfeboro area with her two children and enjoys volunteering in her spare time. Northway Bank is one of the largest independent commercial banks in New Hampshire, operating 16 branches and employing more than 200 associates throughout the state. Its New Hampshire roots date back more than a century, establishing a long heritage of local commitment. Northway Bank serves individuals and businesses, combining the neighborly approach of a community bank with the extensive products and services you might expect to find only in a big national bank. At Northway Bank, community still counts. Call 800-442-6666 or visit northwaybank.com to learn how the right bank makes a real difference.